Women's lacrosse assistant coach Jim Leake. Women’s lacrosse assistant coach Jim Leake. Ohio Wesleyan women’s lacrosse assistant coach died Monday morning. 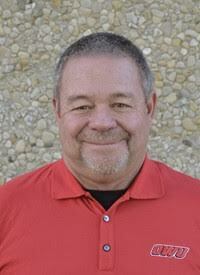 Jim Leake, who was entering his third season as an assistant for the Bishops, had 20 years of coaching experience at the high school lacrosse level. He most notably started the women’s lacrosse program at Bishop Watterson High School. Members of OWU’s women’s team and the OWU community have not been told details of Leake’s death. The women on the team appreciate everything he did for the program. Leake was a native of Worthington, Ohio and graduated from Ohio University in 1974. Check back at owutranscript.com or pick up a copy of the Transcript for updates to the story.